There is so much more to Italy than Rome, Florence, and Venice; but how many people actually discover beyond that? While those cities are majestic, full of history and romance, at times it seems each is overrun with tourists. It’s time to go off the beaten track and discover Italy beyond the typical tourist spots and reveal a whole new side of Italy. Embrace the charm of the picturesque countryside, rolling hills, vineyards, and quaint little towns each with their own traditional cuisine. Globus and Cosmos escorted tours offer some amazing off the beaten path vacations in Italy. See below for some of their options. The beautiful town of Montecatini will be your home for the duration of this tour as you become one with the locals. This guided expedition is perfect for those who love to cook and for those who just love to eat food. You will have the opportunity to play chef as you arrange your very own Italian dish amongst “a rustic Tuscan farmhouse.” Discover history at the “birthplace of Leonardo da Vinci” and breathe in the fresh, lush region of Tuscany on your daily excursions. Sample delectable chocolates and explore the olive groves. Take a ride up the cable car (Funicular) to Montecatini Alto to capture exquisite scenic landscapes only the eye can behold. Stand in awe of the Italian Lakes, picturesque and majestic in every way. Inhale the aroma of abundant gardens and a thriving countryside. Enjoy a fabulous night in Milan and visit the famous balcony of Shakespeare’s dear Juliet. Partake in local delicacies and taste fine wine. Take a charming trip to Bellagio via boat. This part of Italy is perfect for those who have a need for relaxation and deserve a breath of fresh air. The Italian Lakes are absolutely divine! Art, history, culture, folklore – this region of Italy has it all. 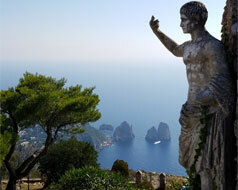 Begin and end this tour of Italy in Naples, known for its abundance of historical museums. Then head over the heel of Italy where you will come face to face with pristine coastal waters. Visit Castel Del Monte, Alberobello, Santa Maria di Leuca, wine cellars and so much more! Uncover sweet Sicily and Southern Italy’s past and present through this unique tour of both scenery and culture. Learn more about the Roman Empire and observe “ancient Greek structures” that still stand today. Take a step back into history as you walk Pompeii. And what is Italy without taking a bite of pizza? This tour is far above incredible. See Italy through a local’s eyes and become enchanted with the quaint cobblestone streets and authentic way of life. Better yet, have this experience without having to research and plan it yourself! What better way to romance your sweetheart and discover Italy in a new light. There is truly something for everyone in this part Italy.